So, lovely people, I’ve decided that instead of dreading Monday’s less popular neighbour each week I’m going to use it as an excuse to treat myself to something delicious. A culinary pat on the back if you will. Hopefully you’ll join me! 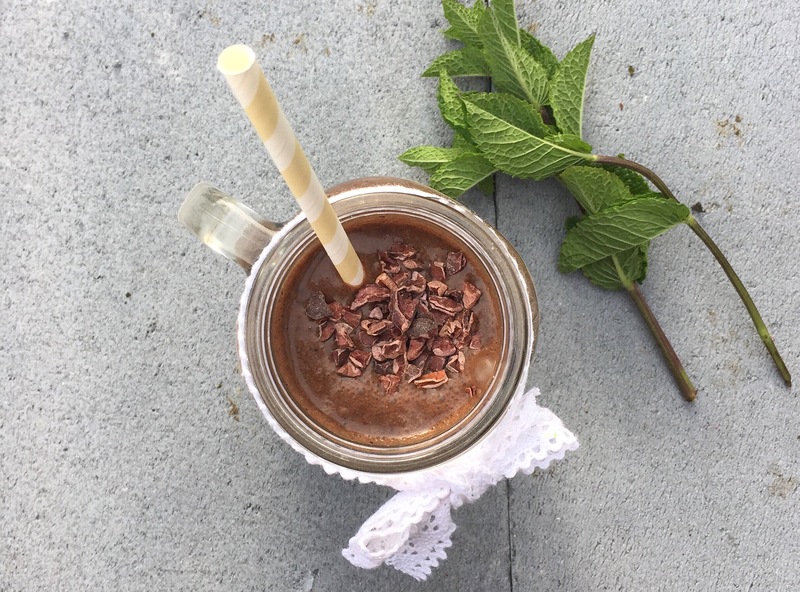 This mint choc chip milkshake is free of dairy, gluten and refined sugar, as well as containing some secret veggies that we promise you won’t even taste! It’s packed with goodness but it tastes very naughty! The recipe makes enough for two (or three), which is handy as you will probably find all the boys turning up at your yard. Combine all the ingredients (except the cacao nibs) in a blender and blitz until smooth. Sprinkle the cacao nibs on top and enjoy!